When a new system is designed and sold, the below the hook device (also known as an end effector) is often forgotten. 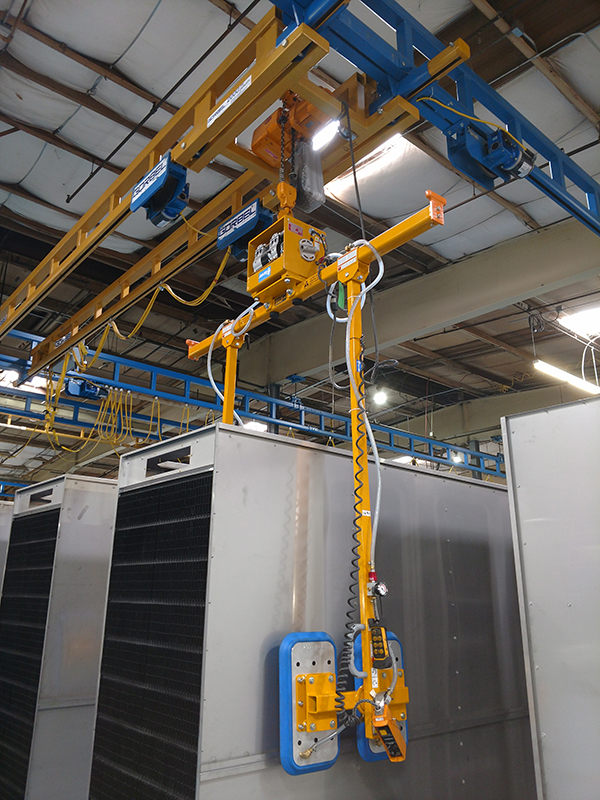 The end effector provides the link between your product and the hook on your hoist - so it’s a very important element of your system. Williamson & Wilmer can help you with the missing link for your product and hook. Over the years we have worked on the design of many units varying from commonly stocked spreader beams to customized devices to remotely release materials. Note: Don’t forget that all of the components of your system need to have consistent markings reflecting the lowest capacity rating of any components. If the hoist on your bridge crane is only rated and labeled for 2 tons, the other components need to be labeled as such. You want to eliminate any confusion caused by mislabeling. This will help to ensure the safety of your workers, equipment and inventory.